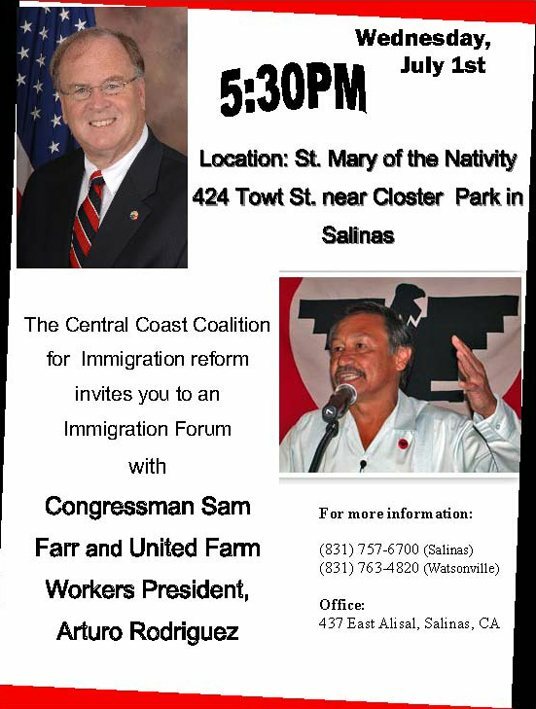 The United Farm Workers invites you to an immigration forum with Congressman Sam Farr and UFW President, Arturo Rodriguez. 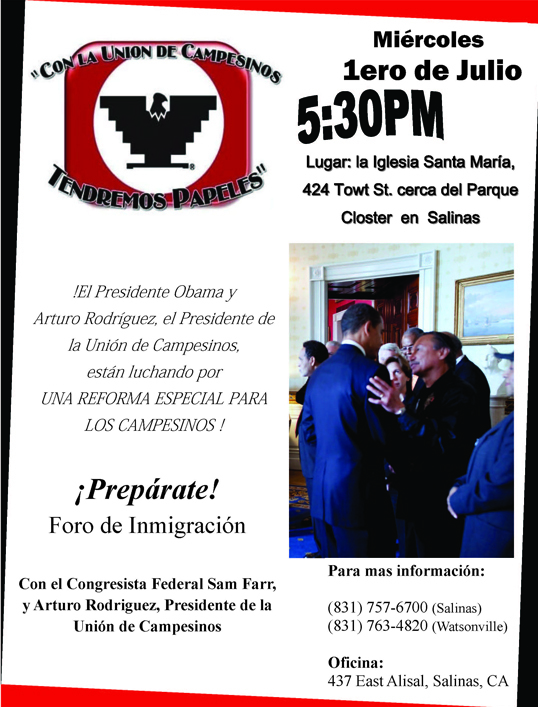 The United Farm Workers will have a forum of immigration with Congressman Sam Farr in Salinas, CA. What is President Obama saying on the issue of immigration? What does congress say? How can the United Farm Workers help you prepare for an immigration reform? Please come to the forum and obtain more information on these topics, open to the public!